The Pronokal diet is one of the diets that are more fashionable now but, what really is? 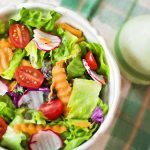 Many people do not decide to make this diet because they think it costs a lot of money, but is this true? All these answers and more we tell you in this article. Start making the diet that best suits you, knowing all the details! Of course, remember that this article is merely informative. The best thing is that you go to a specialist who tells you what is the best diet to follow according to your particular case. Pronokal diet is one of the miracle diets that are most fashionable today. Why? The answer is simple because if you follow the steps perfectly you can even lose 10 kilos in just over a month. This diet is based on the use of smoothies in all meals to acquire essential nutrients. That does not mean going hungry taking only smoothies, but they will be combined with a healthy diet that is rich in vegetables. Of course, as in all diets, there are certain foods that are prohibited, including some types of vegetables! There are many opinions, both for and against, of this diet. Above all, we must be careful with the so-called rebound effect, which will make us recover all the kilos that it has cost us so much to lose. That is why it is recommended that a specialist advise us on how to perform this diet properly. It is also considered the diet of the envelopes. 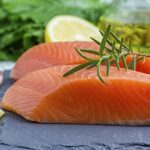 How much does the Pronokal diet cost? 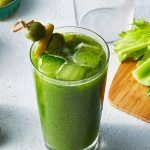 One of the reasons why many people are not encouraged to perform the Pronokal diet is because it can get us very expensive, especially during the first phase, which is where we take more smoothies and products. 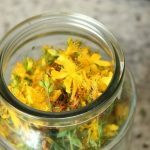 Think that little by little you will stop going needing these food substitutes, so this first phase is usually the one that most stings in your pocket. Only in these envelopes can we spend around 400 dollars in a month. It’s not free! This price can increase if we add the food and vitamins we need many times to not lose the nutrients that the body needs to take daily to survive. As can be seen clearly, this diet can be quite expensive … much more expensive than joining the gym and start eating a varied and balanced diet! Of course, the good thing about this diet is being so popular, more and more alternatives are increasingly cheaper that make us can make this diet without having to spend so much. It is clear that it will remain a very powerful investment, especially in the first phase, but nothing compared to what we could get to spend with this diet. 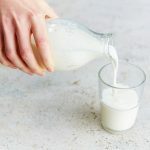 Do you want to start the Pronokal diet? Then you have to take into account all the phases that are included during this diet. Pronokal diet phases are very important because they are what get us lose weight easily and do not suffer from the so-called rebound effect. If you want to start following this diet, keep in mind all the steps to follow before starting it. There is, therefore, an extra step before starting … mentalizing how we should take this diet to work. In this first phase is when we can spend more money if we want to use the envelopes that Pronokal offers to carry out their diet. They take about 5 envelopes, combined with the consumption of certain vegetables allowed. In this way, the body begins to get used to the fact that we are taking less nutrients than we are accustomed to. Remember that this phase is gradual, and we must gradually lower the consumption of food. If we stop consuming practically all the nutrients at once, we will probably go hungry and abandon the diet immediately. This is undoubtedly the hardest phase of all. Luckily it lasts little, but it is one of the phases where most dropouts. This is due to a very simple reason: we have to continue consuming the envelopes that work as a food substitute, but at the same time we have to stop consuming practically any other type of food. It is recommended to take only one food a day, taking into account that the one we choose must be very rich in proteins to provide us with the nutrients our body needs. This is undoubtedly one of the phases that can cost more to perform. During this phase, we will no longer need the envelopes offered by the Pronokal brand, but it is very important that we follow a strict diet. The consumption of food remains strict, always within the foods that are recommended to be taken for this phase, but without the nutritional supplements that the Pronokal diet supposes. It is very important that we control a lot the food we are taking, because if it is not easier to suffer the dreaded rebound effect. We have to return to normal gradually, always following the table of recommended foods. During this phase, we can start to put in another type of food necessary to start following a habitual diet. Here we will begin to put food like fruit, always following the advice established by a nutrition table. It is advisable to take one piece of fruit in the morning and another in the afternoon. During this phase, we can include the bread in our diet, as well as other types of vegetables. We must always keep in mind what is recommended by the nutrition table. For example, it is recommended that we take bread rich in fiber and not abuse it. In this phase of the diet Pronokal finally, our diet will start to be more varied and similar to a normal diet, but always trying to be balanced and as healthy as possible. In this phase, we can finally start taking vegetables, and we will have to take enough! All this will be combined with other types of cereals, as well as with more vegetables. Starch will also be included. We must begin to add these foods little by little to our diet, trying not to abuse them. Remember that if we start to consume them regularly without care we will suffer the rebound effect. In this phase will be when we have to focus more on taking care of what we eat and what not. This is because fats in our diet will finally make an appearance. That we take fats again does not mean that we can take anything that we must also take into account. There are fats healthier than others, and we always have to opt for the healthiest possible. We must continue to avoid ultra-processed foods that abuse less healthy fats and sugar, but for example, we can add more meat to our usual diet. In this final phase, we can start eating normal, but always trying to take a balanced diet rich in the essential nutrients our body needs. That we can eat everything does not mean we can abuse it. We must take a balanced and balanced diet if we want the effects of the Pronokal diet to be maintained in the long term. In this stage, the good thing is that the body will already be used, so it is the least hard of all. Remember to combine it with daily exercise to not notice the rebound effect and that the diet really works. If we do not want to spend more and more money on the Pronokal diet, we can always put into perspective all that this diet offers us and all the information there is about it to save us the investment going to the same root of what this diet consists of. The Pronokal diet without envelopes is possible! This diet is based mainly on taking 80% of foods that are not digested as easily as others, such as cereals and potatoes. Everything that contains starch, or the cereals themselves, is considered a difficult food to handle. As you can see, we do not need the envelopes to start making this diet. Only knowing what we have to consume can we put it into practice and we will notice that, if we combine it with the necessary exercise, it will begin to take effect. During this diet, the goal is to reduce the consumption of calories. Following the steps as such would consume between 700 and 1000 calories, which is much less than the usual recommended calorie intake. Therefore, if you want to follow this type of diet on your own, it is best to consult a specialist about the recommended calorie consumption according to your case. Think that each body is unique and that it is best to consume a diet that is completely adapted to your particular situation. Not all drinks are advised if we want to start this diet but in a low-cost version. It is recommended to only drink water, coffee, lemonade or tea. This means avoiding carbonated beverages rich in sugars altogether. so, during the duration of the diet, refreshments will be avoided. During breakfast, you can take practically all kinds of fruits, and combine it with coffee or tea (which should be taken alone). If bread is consumed it must be rich in fiber, and if we want to add something to the bread we can try margarine that is fat free. We can make a very healthy and nutritious breakfast! For food, remember that the food must be all grilled. Keeping this in mind, remember that you can eat as much meat as fish or vegetables. Yes, in your recipes all without salt and avoiding fried completely! We recommend a light dinner rich in ham or turkey. You can also try hard eggs. 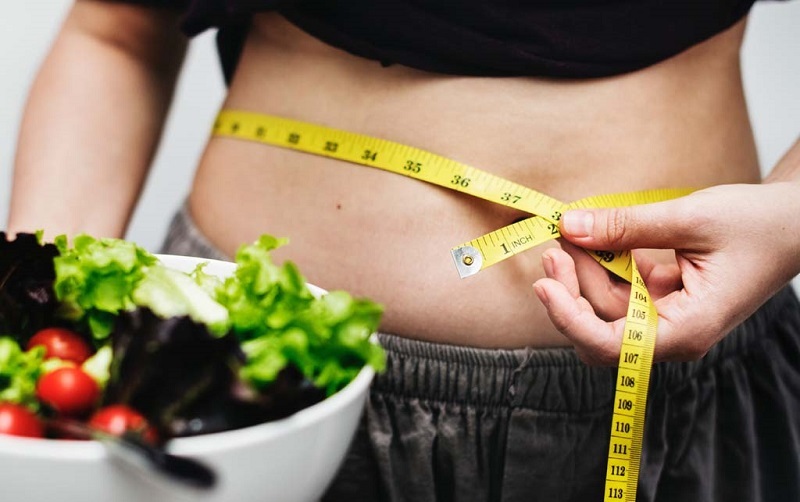 If you want to start following this method, regardless of whether you want to do the low-cost version or the original version, you must take into account certain effects that are known about the Pronokal diet. The main thing above all is knowing that you have to be very disciplined or disciplined if you really want this diet to work. And that is the main failure to start this diet: that is usually abandoned in half and the results are not achieved. This is because it is a very monotonous diet, where you have to follow very strict steps to really work. That’s why it is usually used by people who exercise regularly and are used to following a routine. Also, if we are accustomed to abusing the condiments, the meals will taste dull, and that can complicate the fact that we really want to start using this diet and follow it for real. Another thing to keep in mind about this diet is that it is not recommended if you have certain types of diseases, such as hypertension because they directly influence the retention of nutrients. That is why it is recommended to start doing it previously with a professional.